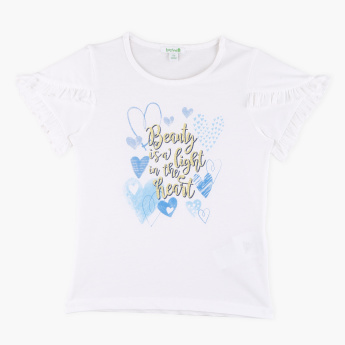 A fine addition to your darling's closet, this beautiful t-shirt will surely make her fetch compliments. 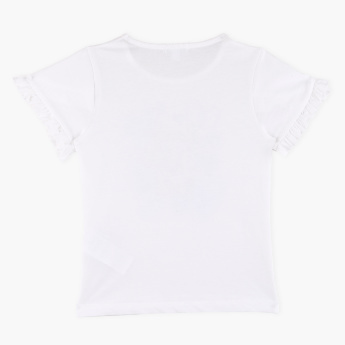 With an alluring print all over and the ruffle detail on the sleeves add to the elegance of this t-shirt. Made of a soft fabric, this t-shirt is easy on your daughter's skin.